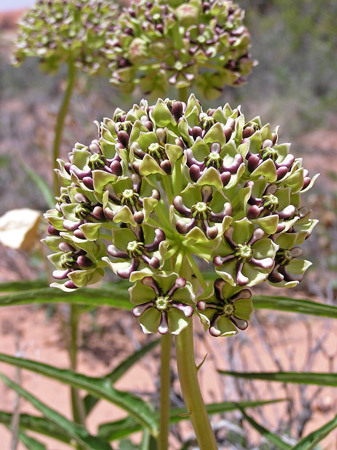 See also Asclepias macrosperma and Asclepias tuberosa and Asclepias speciosa. Semi-desert, foothills. Woodlands, openings, washes. Spring. Canyonlands National Park, Confluence Trail, May 20, 2004. 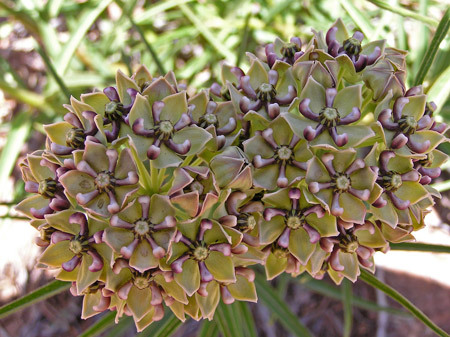 This Milkweed, one of about a dozen species in our area and 120 species in the Western Hemisphere, is found in open Ponderosa woods and in sandy washes and gravelly and rocky openings of Pinyon-Juniper forests. In Canyonlands National Park it is almost always found just a few inches up the bank from sandy wash bottoms. 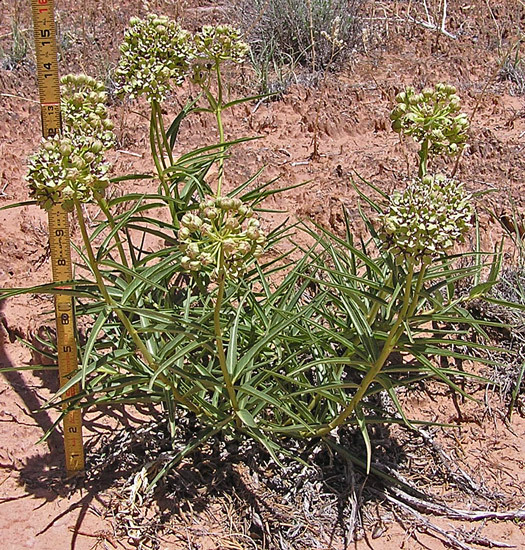 Its airy open network of narrow leaves topped by a very large spherical flower cluster make it easy to identify -- even from a distance. Linnaeus named this genus in 1753. 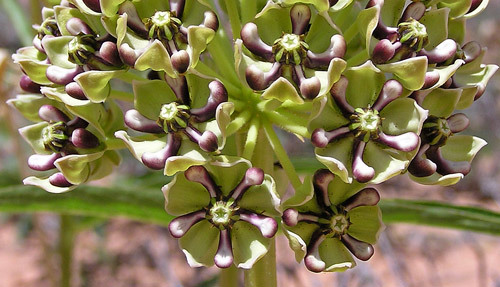 "Asclepias" was a legendary Greek physician and the Greek god of medicine; "asperula" is Latin for 'rough".